Q77 gets two additional buses in order to provide a peak headway of 7 minutes (from 9 minutes). Q17 Local evening service will run every 8 minutes instead of every 7 minutes. 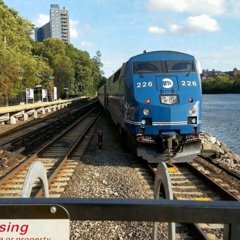 Q17 LIMITED evening service will run every 9 minutes instead of every 8 minutes. Can I get the source link? ARE YOU KIDDING ME? 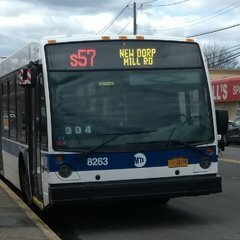 They are cutting more Q46 service?!?! I hope these moron planners get crushed to death by the angry mobs that fight to get onto the Q46 every morning. 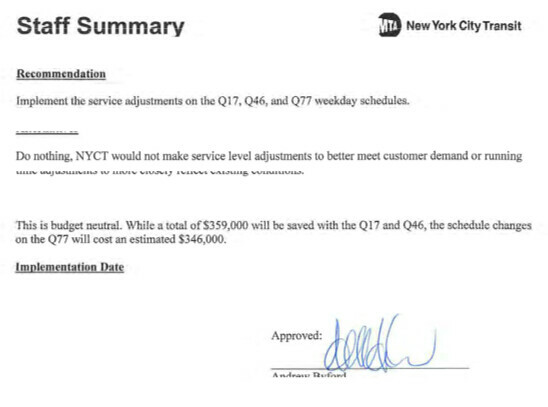 @Via Garibaldi 8 my earlier complaints about the Q46 cuts are doubled! They think they are being sneaky by cutting the locals in the fall and the limiteds in the winter. I'm going to make a stink about this to my elected officials, even though they are usually useless lumps of meat. Are there enough artics on hand? And can QV fit them? Sounds like a revived policy of adding service only when it can be paid for by cutting something else. What about Brooklyn, the Bronx, Manhattan, Staten Island & Express winter picks? The S93 should run on weekends in my opinion. Same with the B82+. I’ll take any number of article on the line at this point. The morning rush is a disaster. Let them park them in Brooklyn and drive over every day for all I care. I am fed up with this nonsense. Forgive my ignorance but it's hardly a service cut, an extra minute isn't going to end the world. Easy for you to say. The Q46 is overcrowded during the rush hour. You need all the buses you can get. That half minute cut actually reduces 4 BPH on the route. 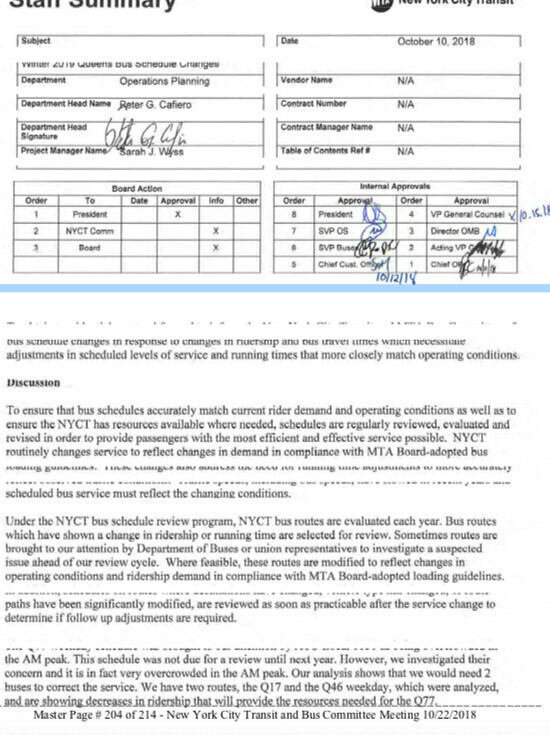 See, the MTA documents say they take an hour of data in order to make their decision. 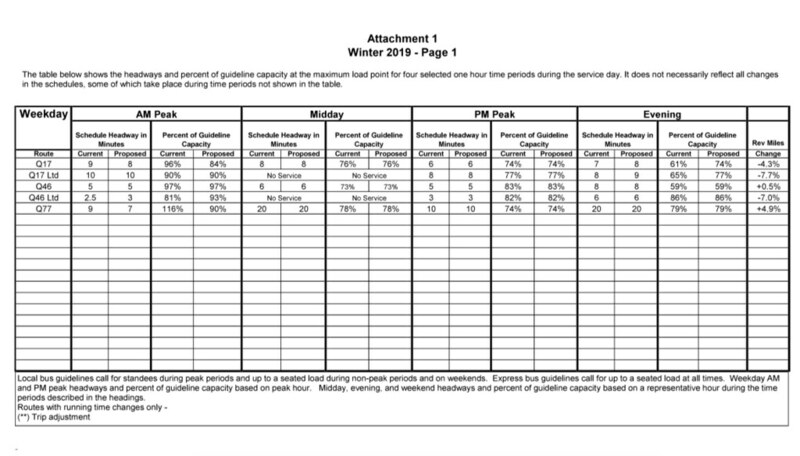 IDK exactly how that works, bur they could easily take the rush hour data and consider the weakest portion of the rush hour in order to make it look like a service cut should be made. That's why I don't trust those stats. 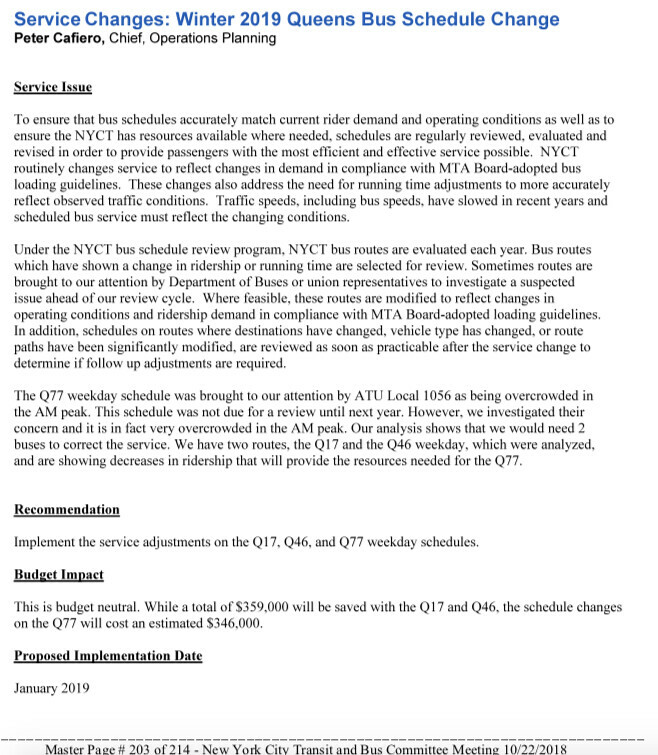 Let me ask you this: If 1-2 minutes make no difference, why would the MTA bother making this change in the first place to reduce headways by 2 minutes on the Q77? On paper, that may sound small, but think about how many people pack onto each bus. With a bus removed, the ripple effects continue down the line. As I said, forgive my ignorance. If they were going to cut buses like that, put artics on it then. I agree. The Q46 deserves artics. QV Depot can't fit artics.